IBMA Entertainers of the Year in 2008, 2009 and 2010, this band has it all: superb vocals, hot picking, and personality to spare. 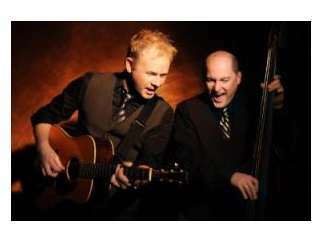 After many years performing with Doyle Lawson and Ricky Skaggs, respectively, Jamie Dailey and Darrin Vincent launched this band in 2007 amid extraordinary anticipatory buzz, which has been more than justified. Their music ranges from bluegrass gospel to the Statler Brothers, incorporating the best of traditional and modern bluegrass.